Building upon the theme of sport tourism and sport development, the Town of Aurora now has its first FIFA Certified artificial turf soccer pitch at Stewart Burnett Park completed this fall, by Worldwide Turf Inc, from Barrie, ON. Contributing to the town’s plan to become “Canada’s most active community, it will also facilitate the needs of the soccer community as well as the Aurora FC Semi-Professional league. 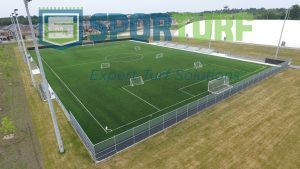 The 84,000 sq ft soccer pitch was manufactured at the Sporturf facility in Dalton, GA with the Duration 60 product in conjunction with Sit-In Sport. The Duration Series is constructed with technological advanced Monofilament fiber. This performance-based system delivers the best to both the athlete and owner. Engineered to meet all the testing requirements of FIFA. These FIFA requirements allow athletes and owners to be confident that performance is always there for them. Duration is available in two configurations that can qualify for FIFA certifications. Both have unique performance characteristics. For additional information, please see the articles below. 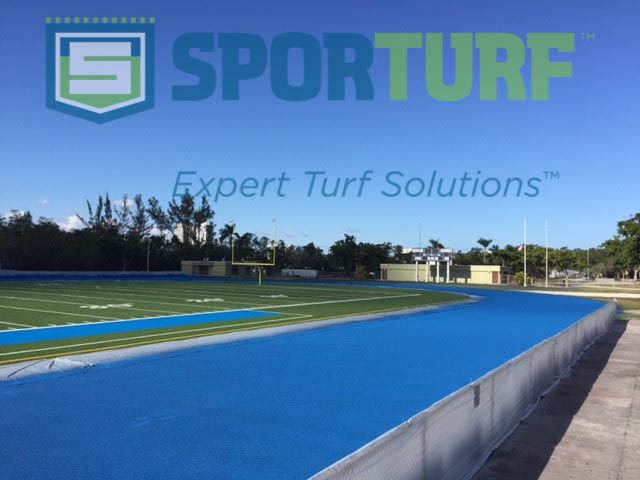 Recently SCG Fields, LLC worked with North Miami Athletics to install a Sporturf™ multipurpose soccer and football field in Miami, Florida. Officials from North Miami Athletics worked the SCG and Sporturf team to choose a color for the coaches’ boxes that would very closely match the newly resurfaced track. 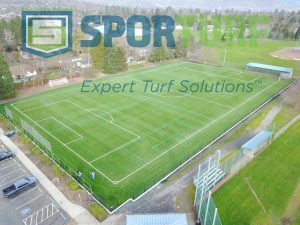 The turf system that was selected consisted of Sporturf™ GameChanger paired with an alternative infill called Envirofill from US Greentech and a ProPlay shock pad from Schmitz Foam Products. The entire project was purchased through our partnership with NJPA. 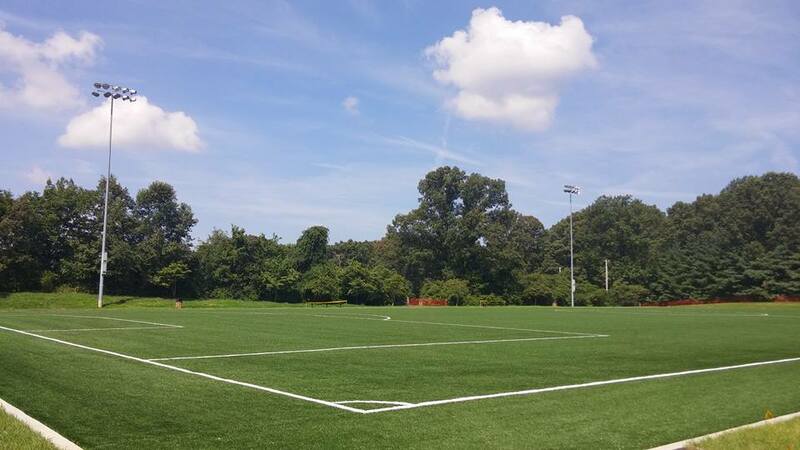 SCG Fields, LLC is a sports field specialty construction contractor that handles all phases of natural and synthetic turf jobs for professional, collegiate, and high school facilities, from excavation and sub base through installation and maintenance. They are one of the nation’s most trusted sources for superior quality construction of highly engineered natural grass and synthetic turf sports fields. 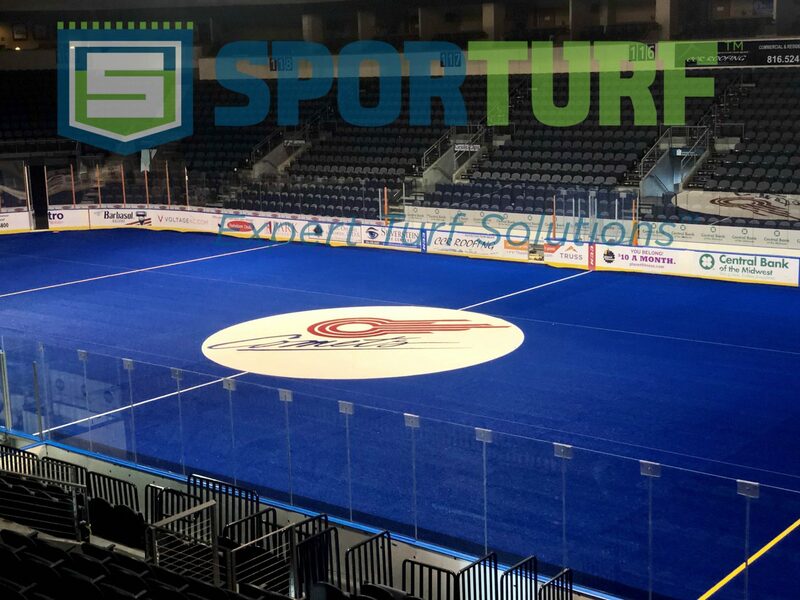 Sporturf is proud to team with top quality partners across North America for both indoor and outdoor projects. Sporturf™ GameChanger is very similar to natural grass; our advanced yarn provides resilience and strength at the same time, while maintaining a brilliant appearance. The fiber has exceptional split resistance compared to conventional turf fibers. This increases the performance in sliding, ball roll, ball bounce and durability making our product one of the best on the market today. 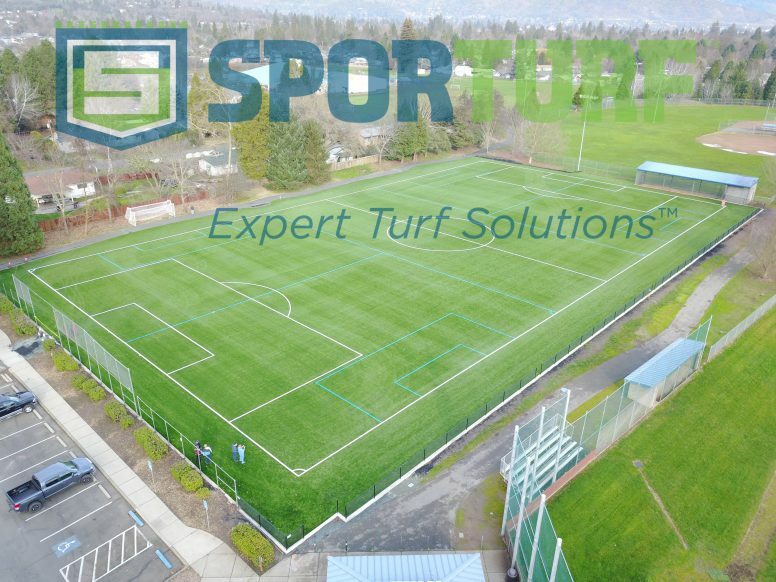 Sporturf™ dealer Dale Collett of Synthetic Turf Consulting installed this soccer field for Grants Pass High School in Grants Pass, OR in 2017. Dale and his crew utilized over 100,000 square feet of PowerHouse synthetic turf to complete this project, including prefabricated lines. 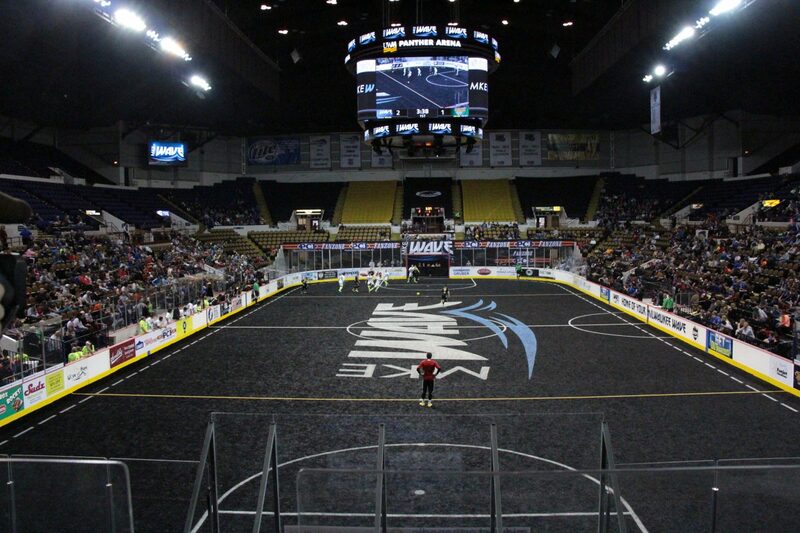 In the United States, Soccer is one of the most rapidly growing sports and around the world it is by far the most popular sport surpassing basketball and football. This is where the need for synthetic turf becomes paramount. 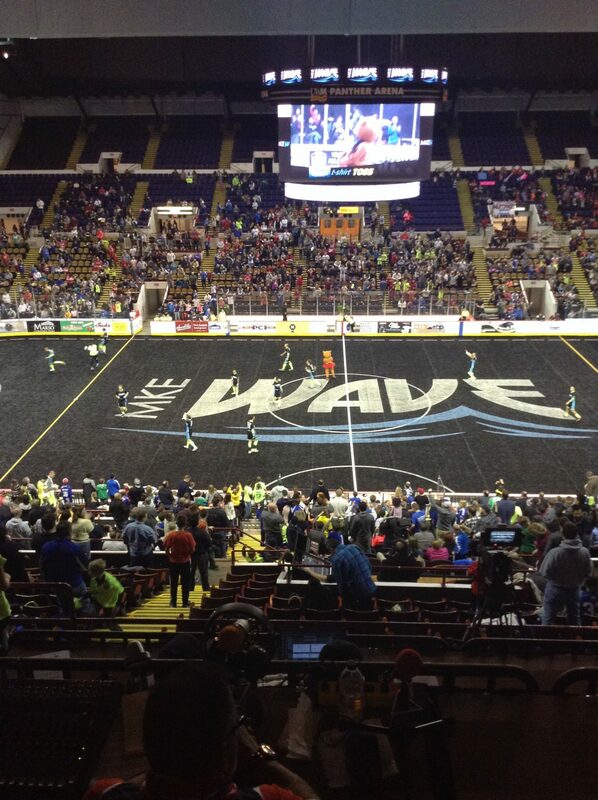 Natural grass fields simply cannot withstand the constant play. Sporturf has the ability to provide a FIFA quality product and our quality standards translate to a winning surface. We bring a complete solution to you and your team through comprehensive evaluation and understanding your needs. PowerHouse, the turf installed on the field, is one of our most advanced system designs that provides high resilience and increased comfort and safety. The series is made up of some of the most proven and durable fibers in the world. PowerHouse truly is a workhorse and will withstand the rigors of wear and tear for many years. 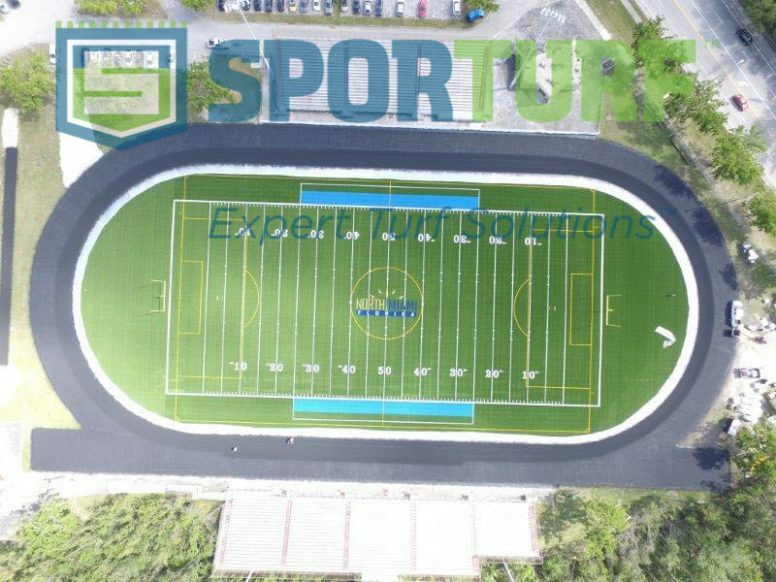 The project began on May 2nd and completed on July 1st and it was a really smooth installation from the base preparation to the installation of the turf. The Bob Leonard Park project was a public bid. 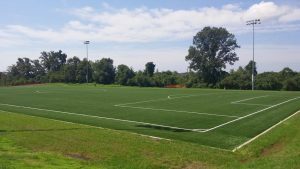 PLAYRITE had previously built another soccer field in the same park for the Town of Farragut in 2013 so the staff knew about the company and their quality of work really well. They appreciated PLAYRITE’s quality of work and product so much that PLAYRITE won the project despite the fact that they were not the lowest bid. The product used in the Bob Leonard Park project was Sporturf™ TrueGrass. TrueGrass is the premium multipurpose/athletic field product that has been tried and tested in the toughest conditions. This product also features the longest lasting fiber available, which makes it ideal for indoor and outdoor athletic fields. This product can be installed outdoors or indoors over concrete or a compacted aggregate base. As of Monday May 25th Worldwide Turf Canada has finished all of the base work on all the fields as well as turf installation on both multipurpose fields. They plan to have the turf complete on 2 of the 4 ball fields by Friday and anticipate being complete in 3 weeks from Monday May 25th. 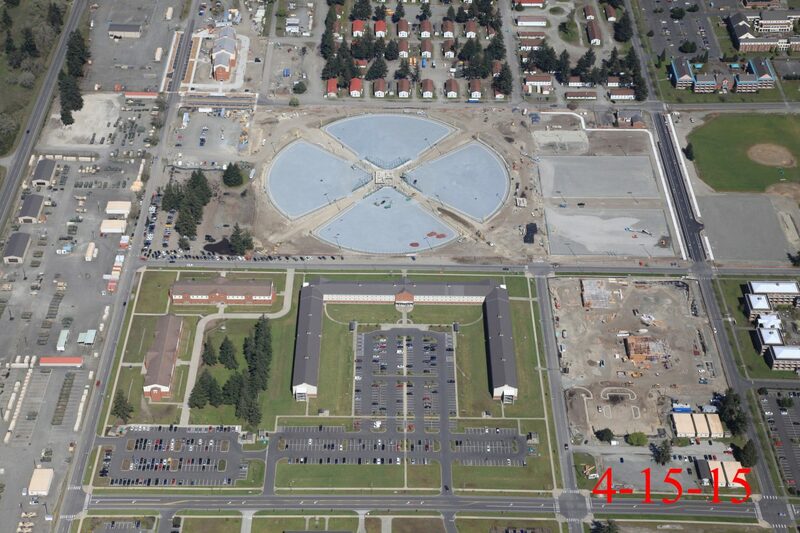 The top image is an aerial shot of the progress thus far. To give you an idea of where we started take a look below. 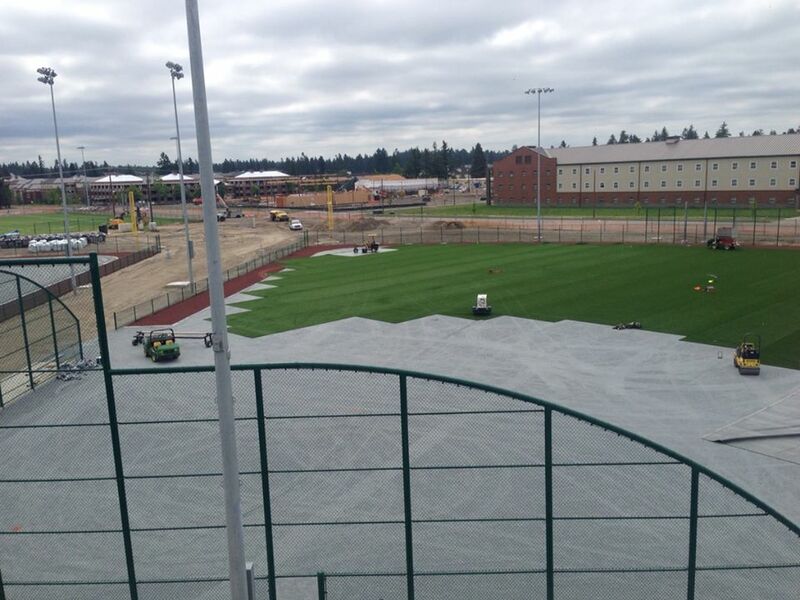 To the inexperienced eye it probably does not look like it takes very much to install synthetic turf. We are here to tell you that is simply not true. 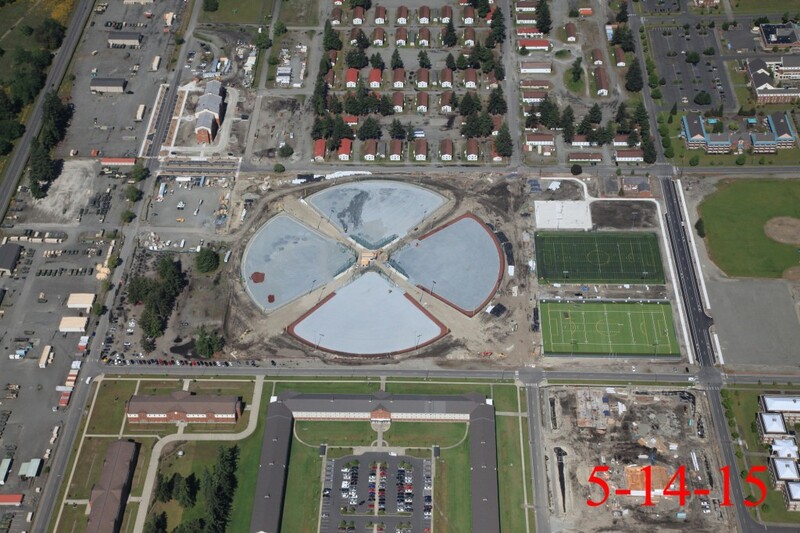 Take a look at the project progression and we think you will be amazed at the amount of work that goes into a field. Install over compacted aggregate base. 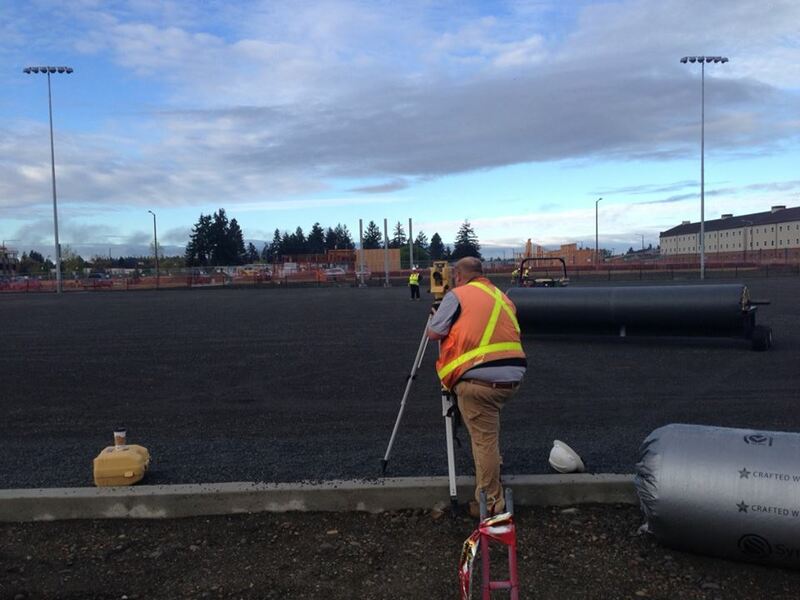 Lining up the lines, its a precise measurement. 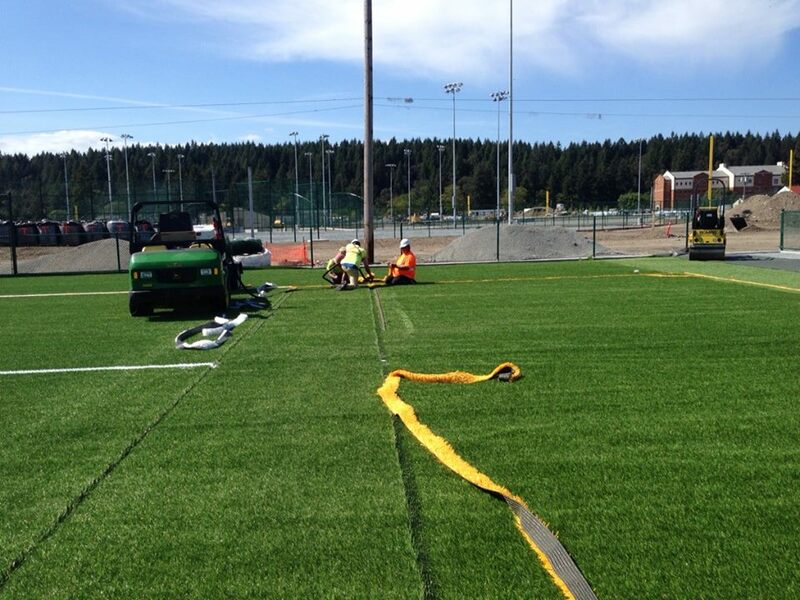 Installing the line into the turf. 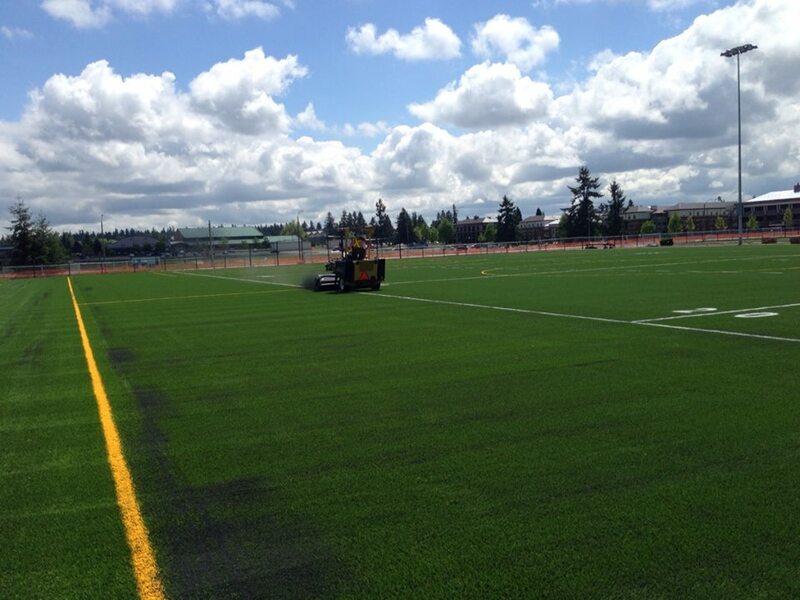 Infill, it’s what keeps the blade standing and helps the turf look the best possible. Brushing, evenly distributes the infilled sand an grooms the turf. As you can clearly see, quite a few steps go into making a field correctly. A top quality field takes work and when done properly, the end results cannot be beat! 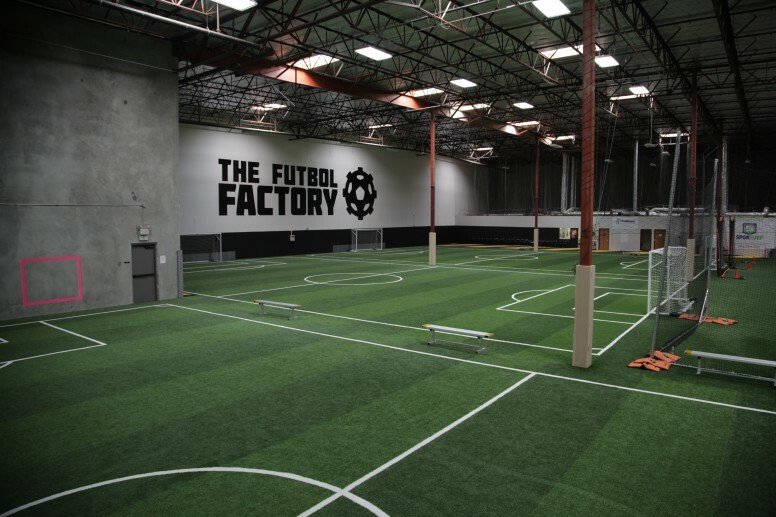 The Futbol Factory Has Fast Grass! 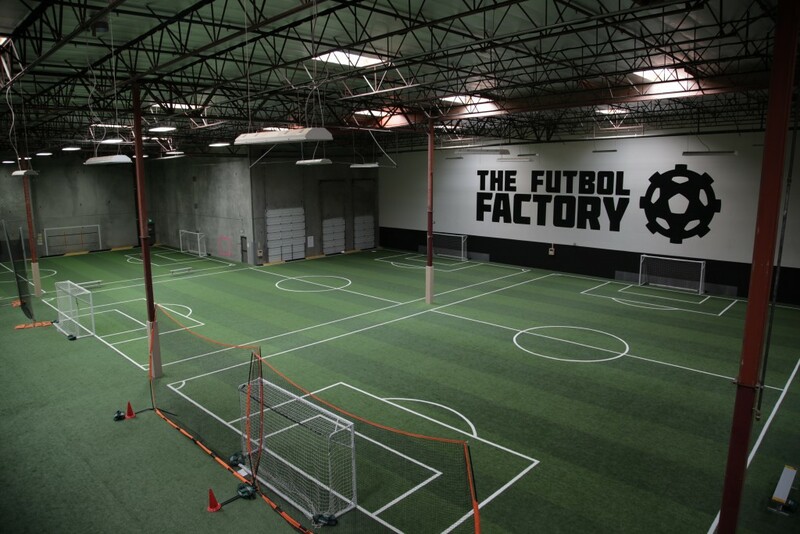 The Futbol Factory, LLC installed Sporturf ™ Fast Grass AT755E in their indoor training facility. They knew they needed a quality product that could withstand the abuse that futbol (aka soccer) players put it through. 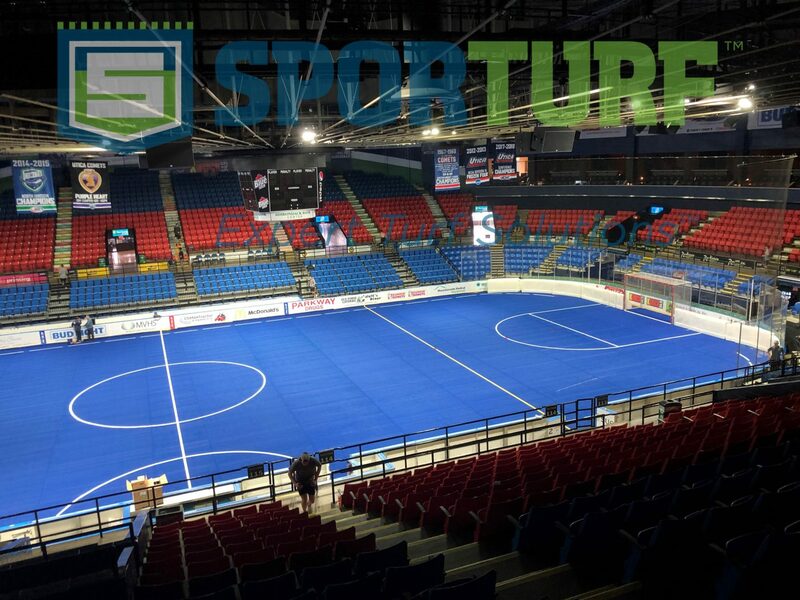 The Futbol Factory chose Sporturf ™ due to the well know quality, fair pricing and exceptional customer service. The benefits of Sporturf™ AT755E include high resistance to wear and the fact that messy infill is not required. The almost perfect 50/50 blend of nylon and polyethylene provides a true ball roll generally only found in high pile rubber infilled turf. Also, no rubber means less maintenance. Keep in mind, all Fast Grass systems can be outfitted with Velcro seams for ease of portability. Talk to your Business Director today for more information! 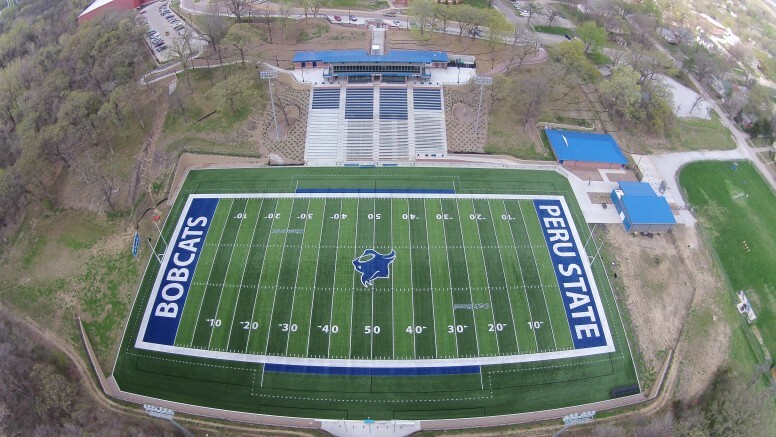 The football field at Peru State College was first installed in 2013 as a part of a $9 million stadium upgrade project. 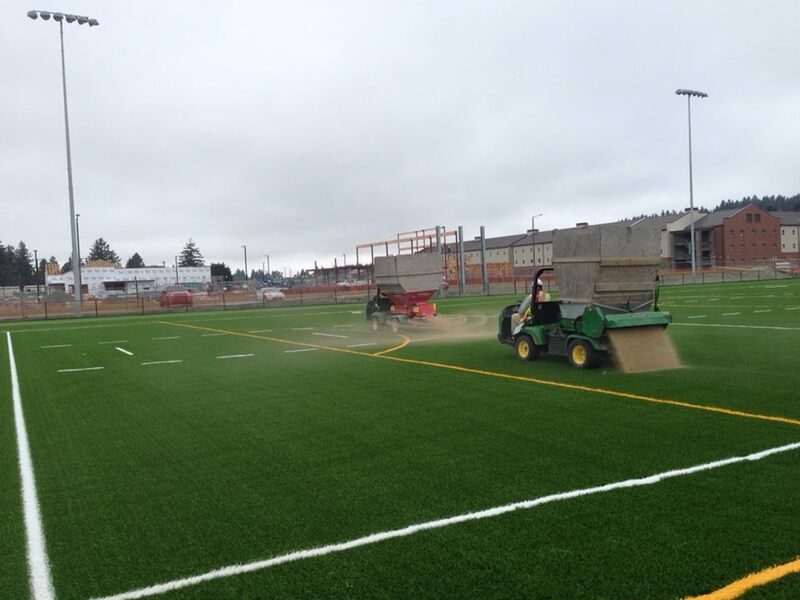 After researching several turf options, the school chose Sporturf™ Powerhouse 44oz, with 2.25” pile height. 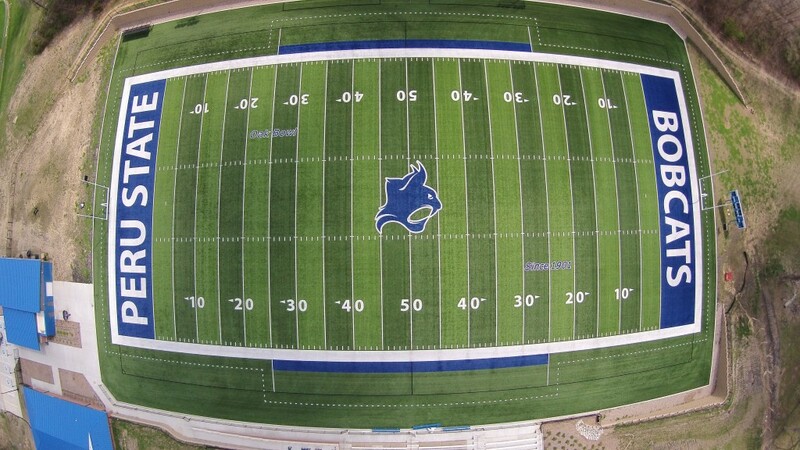 Even after a few years of constant use by the Peru State football team the turf looks phenomenal. So if you were concerned that a football team would tear up your brand new field in the first season then you are sorely mistaken. You can clearly see that our Powerhouse product can withstand whatever a team can throw at it. Designed with durability in mind, PowerHouse also provides increased comfort and durability thanks to the extensive research and development that went into it. PowerHouse truly is a workhorse and will withstand the rigors of wear and tear for many years. Sporturf™ had the honor of being the official sponsor of the Mexican National Team in the World Minifootball Arena Soccer World Cup this past week; hosted by the Chicago Mustangs, members of the Major Arena Soccer League (www.MASLSoccer.com), at the Sears Centre Arena in Hoffman Estates, IL. The final game of the World Cup came down to Mexico vs. the US who were both undefeated entering the match. 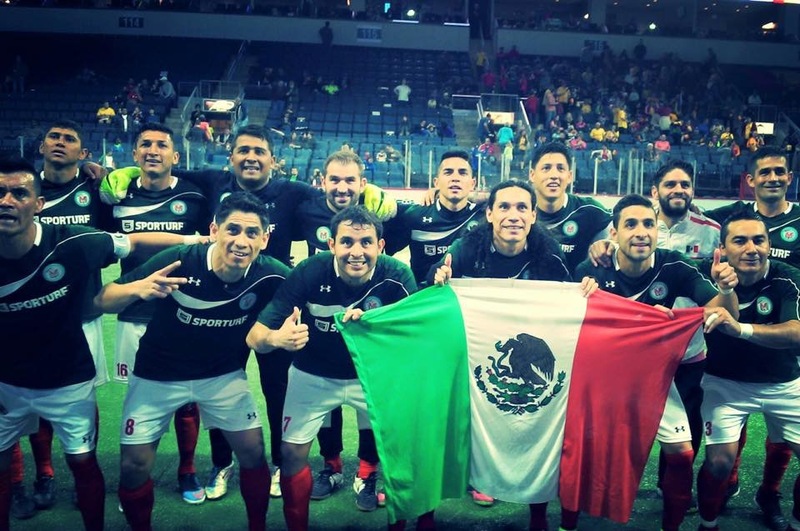 USNAST beat Mexico 5-3 despite a valiant effort, to take home the WMF World Cup. 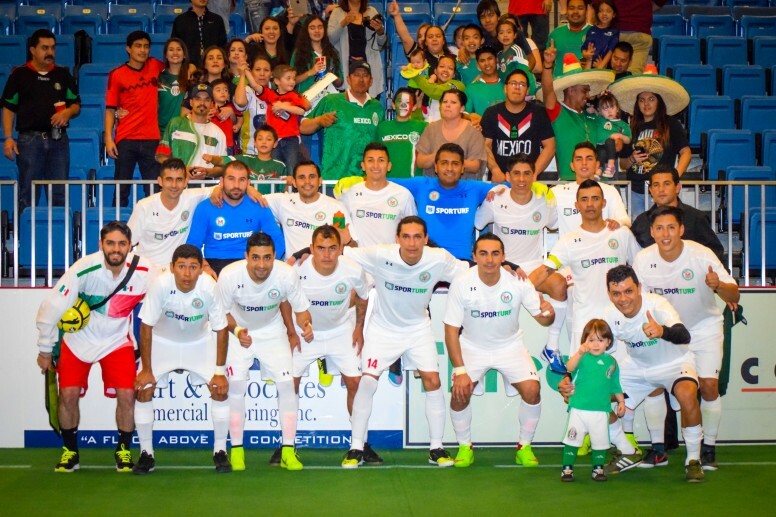 Eduardo Velez had this to say about the US win, “Their goalie was unbelievable, he was making incredible saves!” Despite coming up short in the finals, Mexico won all of their previous matches in the tournament and Sporturf™ is certainly proud to have had the honor to sponsor such a talented team.